After growing up and playing pop music in the capitol of the heavy metal hair bands in the eighties, Upplands Väsby, living in Los Angeles working with Ice-T, Snoop Dogg and Coolio, moving back to Stockholm again working as a producer (Christian Walz, Brolle Jr, etc. ), songwriter (Christian Walz) and mix engineer on more albums he cared to count (Teddybears STHLM, Robyn, Christian Falk etc. 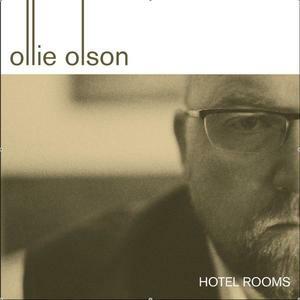 ), Ollie found himself sitting in different hotel rooms with a broken heart, too much time on his hands and a guitar willing to talk. -I wrote almost the whole album during three weeks in the fall of 2003 when I had just broken up with my wife. At the same time I was incredibly tired of music, the music industry and the long, grueling hours of sitting and fiddling trying to get everything just ”perfect”. I had lost all feeling and I felt I had this need for renewal. I just had to do something so I didn’t have to think about all the crap going on. I was given this opportunity of going on a tour of seminars, so I took the time to write all the songs at the different hotel rooms I was staying at in the northern part of Sweden, Stockholm and NYC. The whole process served as a sort of security valve, I didn’t have to think of somebody else’s artistry, production ideas or wishes. The album has a lot of guest appearances with everybody from unknown Luleå musicians to Christian Walz, Frida Öhrn (Oh Laura) and Klas Åhlund among others playing on it. The single ”Ten Bucks” was sent to radio at the end of December 2007 and has already been picked up by several radio stations.